In many ways Sea Fox is a better Motor Yacht today than when she was first launched. I am a licensed Captain and have consistently upgraded her for the last 21 years with things like a custom hardtop and enclosure($25K), solar system ($6K), water maker ($10K), dinghy crane ($5K), KVH Sat TV, Sirius Stereo Radio, Inverter and more. Her maintenance is second to none with complete records....in fact she comes with an owner’s manual written by me, an invaluable reference source for her next owner. Sea Fox has been a safe and luxurious home afloat during 16 voyages south to Florida and the Bahamas, during a Great Loop Cruise and many East Coast excursions. 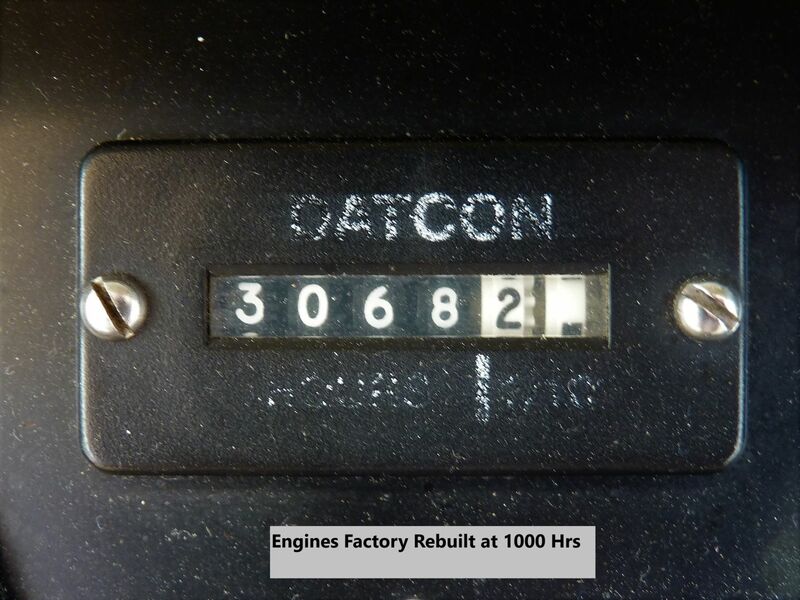 Reliably powered by twin Caterpillar 3208 Diesels with 2100 hours since being rebuilt (3100 hrs total) The hours are low because, while cruising, I run one engine at a time. I cruise at about 6.5 knots in this mode with a fuel savings of about 75% and 1/2 the engine wear. At first, I constantly checked the transmission temperature of the engine that was not running but, after seeing no change, I concluded that there was no problem running this way. I have run this way for over 1,500 hours. Sea Fox has all the options to make cruising comfortable including generator, air and heat, intercoms, washer and dryer, and user friendly electronics. Her living areas are spacious and numerous: an enclosed hardtop after-deck with teak furniture, the hardtop enclosed bridge seats 6 comfortably, the open salon with adjacent dinette/lounge seats 10, the galley is down but open to the entertaining and the 2 staterooms (the master aft has ensuite head & stall shower, the forward guest stateroom has an adjacent head and shower) have walk-around queen berths and excellent privacy. Motor Boating and Sailing asks "...where else is there available a boat that has the Salon of a 53 footer, the features of a 63 footer, and the livability of a 73 footer - and all of this in an American built 40 footer....with a sea friendly ride." We ask; why buy new? Seriously consider her if you want a proven, economical and affordable long range cruiser or a spacious well equipped livaboard. Sea Fox is in excellent condition as I have spared no expense to maintain her over the 21 years I've had her. My girlfriend and I have lived full time on the boat for 9 years while traveling the intracoastal between the Chesapeake, Key West, and the Bahamas. We now spend the summers on her in RI but have decided that it's time to buy an RV and see the rest of the country. I will miss her for sure. Her summer slip is included in Sales Tax Free Rhode Island. She may be shipped internationally from 2 shipping depots and is close to the Providence Airport. She may be seen in the water by appointment at a nearby marina. Spot Free Water filter for spot free washing. User rechargeable. Marine Magellan Alarm with wireless motion, high water, and entry sensors. Sounds alarm and dials out.